This large property is on a separate island, facing out on the lagoon rather than in towards the mountain. The spa is a beautiful tranquil space. The jet-black lava rock at the spa crest are welcome contrast to the turquoise blues of the lagoon. Very friendly, very accommodating staff with a golf-cart service to help you get around in the heat. This luxe beach resort directly on a lagoon is 2 km from Matira Beach and 8 km from Bora Bora Yacht Club. Bright rooms with tropical decor have ceiling fans, wood floors and terraces. They all include free Wi-Fi, flat-screens and living areas, as well as marble bathrooms. Upgraded suites are water-side, and have balconies with glass floors to view sea life. Some units overlook the lagoon. Dining options include a casual cafe, 2 bars and a Mediterranean restaurant with lagoon views. Spa treatments are available in an open-air bungalow, and there’s a gym and a billiards table. Recreational activities include sailing and snorkeling. A blissful and luxurious retreat overlooking a world-famous lagoon. Located in a private cove on Motu To’opua, our stunning resort offers bungalows that straddle the water, a soaring backdrop of Mount Otemanu, soft sand beaches, vast views of turquoise sea, limitless skies, and a suite of dining options and resort activities. Guests can look forward to personalized, intuitive service during their stay. Located on the longest stretch of white sand beach in Bora Bora, this fully renovated resort is a tropical playground with unrestricted sunset views, diverse sea life, daily cultural activities, and access to the resort’s private islet, Motu Tapu. Our secluded beachfront resort is just 20 minutes by boat from Bora Bora Airport, and we’re pleased to coordinate your transportation. 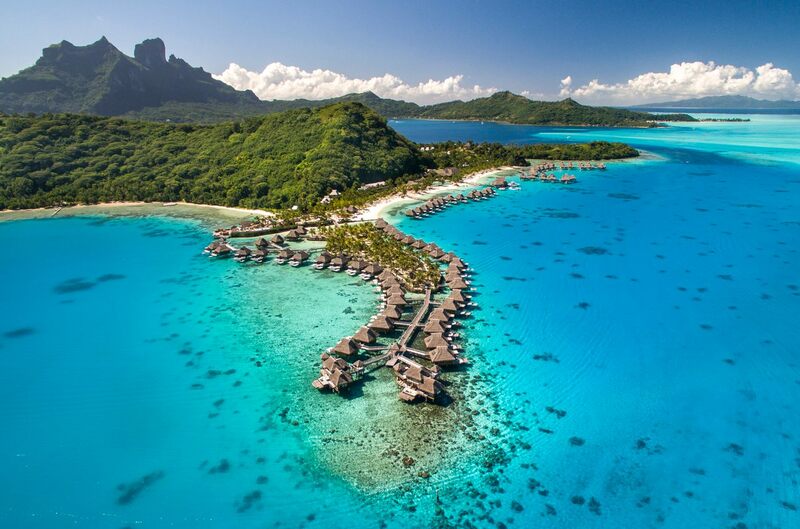 Enjoy the infinite possibilities and once-in-a-lifetime experiences at Conrad Bora Bora Nui. Our resort’s Curators are delighted to plan excursions in local Polynesian culture in 1/3/5 hour itineraries, based on your interests. Conrad Bora Bora Nui is a 2017 TripAdvisor Certificate of Excellence award recipient.